Strike the perfect balance in your equipment financing structure as part of your global fleet deployment strategy by using equipment purchases. SeaCube offers a range of new and used generators (gensets) to match your financial needs. SeaCube is the refrigerated equipment leasing specialist, and we work with the world’s leading genset manufacturers (including Carrier, Taylor, and ThermoKing) to offer the most advanced and environmentally friendly power systems available. See the illustrative specifications below for typical genset models. 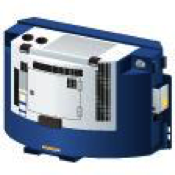 We offer a full lineup of gensets, including both clip-on and undermount models. Together with our reefer units, these form technologically advanced and innovative equipment solutions that safeguard cargo, improve service reliability, and help our clients reduce their carbon footprints while increasing profitability. SeaCube can work with you to arrange a purchase of insulated refrigerated containers that will meet your shipping and storage business needs. 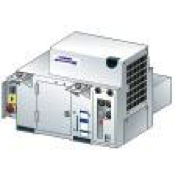 Generators (Gensets) are used for powering refrigerated containers either on the ground or in transit. Our Gensets supply both 230 and 460 volts and can be used in any application which requires such power. We have both Clip-on Gensets, which fit on the front of the container, and Under-slung Gensets, which are mounted under a Chassis. Gensets can also be used as a free standing power source when reefers are used for temporary or semi-permanent storage, as well as to meet other compatible electrical needs.